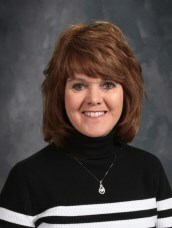 Mrs. Sheila Harmon is the St. Mary’s School music & band teacher. She leads the students in song at our weekly school Masses, held on Wednesday & Fridays and teaches band & music on those days at the school. 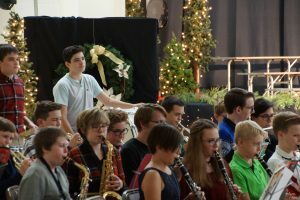 Band is offered for students in 5th through 8th grades and music classes are held for all students PreK through 8th grade. Our students have the opportunity to showcase their musical talent several times a year: at our Barnes & Noble Bookfair in November, the Christmas program held in December, in the spring school musical and performing at the court house for the Arts in Education Spring Celebration.